This update includes general bug fixes, including a fix to properly update from previously installed versions of the IDE on Linux and Windows. Android Studio 3.0 RC 2 is now available in the Canary, Dev, and Beta channels. Android plugin for Gradle 3.0.0-beta7 and higher now require build tools 26.0.2 and higher. Keep in mind that specifying a version for the build tools (using android.buildToolsVersion) is now optional—the plugin automatically uses the minimum required version for you. 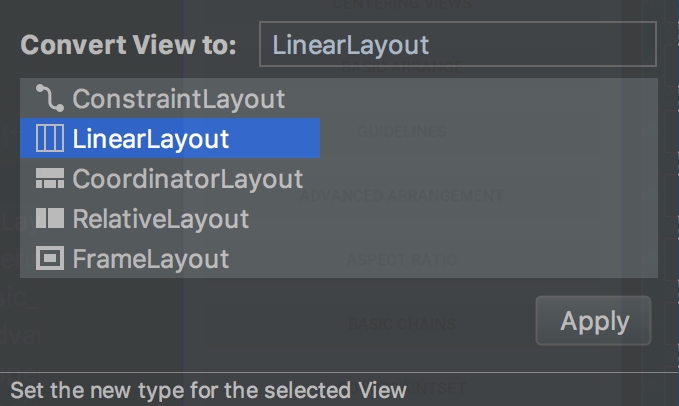 Issue #37111548: Update "new layout resource" dialog to use ConstraintLayout by default. Android Studio 3.0 Beta 7 is now available in the Canary, Dev and Beta channels. Note that the setting to have a match_constraint set to wrap behavior has been deprecated, instead you should use the above layout_constrainedWidth/Height attribute along with width=wrap_content. 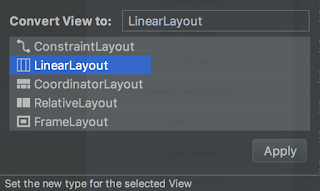 We just published ConstraintLayout 1.1.0 beta2.